Recently I needed to give Hermione and George medications that came in capsules. I asked the nurses at the vet how I was supposed to give them a capsule (liquids are hard enough) and they looked at each other in a way that should have raised my suspicions more than it did and the answer was somewhat muttered…but they did suggest that I could buy Greenies’ Pill Pockets and that these would go around the capsules and the cats would eat the pills without issue…so I bought a small bag – I think it was around $8-$10, it had 45 treats and was chicken flavored. I only needed four, but I figured the cats could just eat the rest as treats. 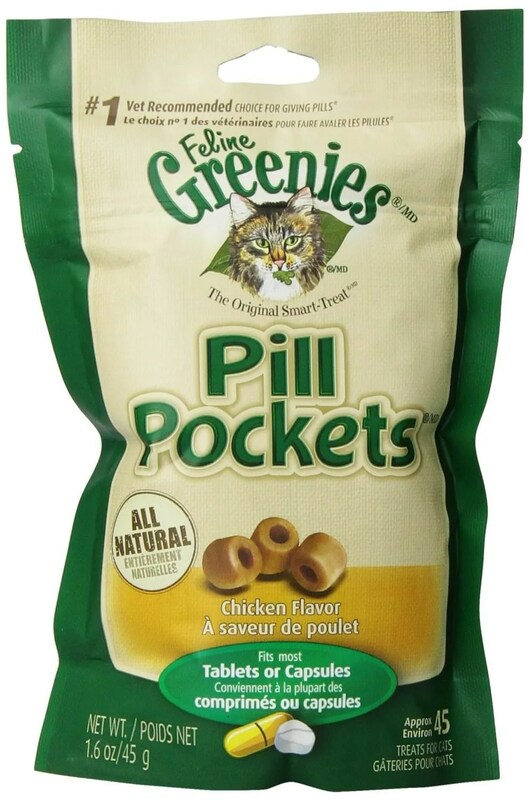 A package of Greenies Pill Pockets, chicken flavored.